Founded in 1882, George Weston Limited has become one of Canada’s largest publicly traded companies by consistently providing quality and value to its customers and shareholders. Through its operating divisions, it is one of North America’s largest food processing and distribution groups. For over 50 years, Loblaw has supplied the Canadian market with innovative products and services. We are known for the quality, innovation and value of our offering. We offer Canada's strongest control label program, including President's Choice, no name and Joe Fresh. 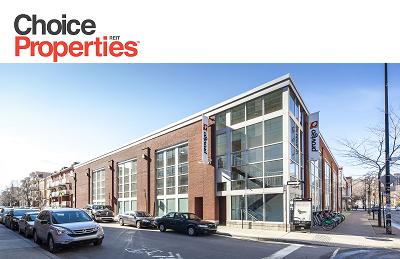 Choice Properties REIT owns, manages and develops one of Canada’s largest retail-focused property portfolios. We are focused on enhancing the value of our assets in order to maximize long-term Unitholder value in a disciplined way with sound corporate governance. Delicious and Nutritious Choices Weston Foods Canada is proud to be the bakery leader in Canada, operating for over 125 years. Our operations include more than 40 facilities. Each day Canadian families start their day with the nutrients supplied by Wonder+, Country Harvest, Gadoua and D'Italiano. Founded in 1882, George Weston Limited (“Weston”) is a major Canadian public company, representing Canada’s largest food and drug retail businesses through its control of Loblaw Companies Limited (“Loblaw”) and Loblaw’s recent acquisition of Shoppers Drug Mart. With over 2,300 stores the retail operations reach most Canadians serving their everyday food, health and wellness needs. Through Weston Foods, Weston is one of Canada’s leading bakers, offering a wide selection of fresh and frozen products to the North American market. Weston also controls one of Canada’s largest REITs, Choice Properties REIT. With over 200,000 employees, Weston is Canada's largest private sector employer. For over 50 years, Loblaw has supplied the Canadian market with products and services through its more than 1,000 stores and Canada's strongest control label program, including President's Choice, no name and Joe Fresh.We also offer the PC points loyalty program. Loblaw employs more than 134,000 full-time and part-time employees, making us one of Canada’s largest private-sector employers. We are the licensor of full-service retail drug stores operating under the name Shoppers Drug Mart® (Pharmaprix® in Québec). Founded in 1962, the Company has grown to a network of more than 1,253 stores, making us the leader in Canada’s retail drug store marketplace as a provider of health and beauty aids, cosmetics and fragrances, seasonal products and everyday household essentials. Choice Properties Real Estate Investment Trust is an owner, manager and developer of well located retail and commercial real estate across Canada. Our portfolio spans approximately 36.3 million square feet of gross leasable area and consists of 435 properties. Choice Properties’ strategy is to create value by enhancing and optimizing its portfolio through development, accretive acquisitions and active management. President’s Choice Financial® services are a unique financial service offering designed by Loblaw Companies Limited. Simply put, PC Financial® services are all about unprecedented value. We aim to make the everyday simple and better by offering value, convenience and simplicity through our convenient, no-fee payments offerings, which enable customers to earn rewards on everyday purchases. Weston Foods specializes in producing and delivering a wide variety of baked goods found in grocery stores, convenience stores, supermarket in-store bakeries and food service outlets. Each day Canadian families start their day with the nutrients supplied by Wonder+, Country Harvest, Gadoua and D'Italiano. Our operations include over 40 facilities across North America manufacturing a range of baked goods products.